The Best Friends at the Bar year is about to come to a close. Yes, I know that the entire month of December lies ahead before the Big Ball drops in Times Square and that you still have time for holiday shopping, holiday cards, holiday decorations, attending parties, giving parties, baking and cooking … and the list goes on. Do not panic, you have plenty of time to accomplish all this and more. You are young and energetic and incredibly resourceful. I have complete faith in you. I, on the other hand, have the luxury of taking the month of December off each year to address my work-life balance. December is when I concentrate on family and friends and help make memories. It is when I listen to music, play the piano, read books, take long walks, and watch all the movies that I have missed earlier in the year. It is when I stick close to home and don’t travel on business. It renews me and gets me ready to jump into the new year with gusto and enthusiasm to connect once again with you, my readers. I have perfected a program on Soft Skills for Lawyers, which will be available in 2018. That says it all …. except Happy Holidays to all of you. See you next year! Happy Thanksgiving to all of you. I hope that you are surrounded by friends and family and celebrating all of the blessings in your lives. I am sure there are many. 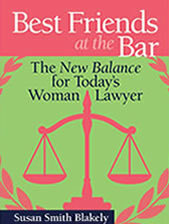 One of those blessings is that you are women in America and, to boot, women lawyers in America. We take so much for granted here, and we complain about unfair treatment and lost opportunities, but the truth is that we are the luckiest women on earth. We are working our way toward full equality in the workplace, and I have real hope that it will happen in my lifetime. We live in a society protected by free speech and a Bill of Rights unparalleled in the world, and we have a judicial system to back it up and make those freedoms matter. We can be anything we want to be here in America, within reason, as long as we make the right choices and respect people along the way. While it is true that women are feeling very violated as a group in the shadow of today’s headlines disclosing more and more shocking details of sexual abuse and harassment, it also is true that women finally are feeling the force to call out the wrongdoers and speak truth to power. That is huge, and even if men do not change their behaviors, women are changing their own. We are learning to become the tribe we need to be to advance our causes and protect our futures. So rejoice in your blessings and make this a day to remember. This is the day you take even greater control of your lives. If there is an issue, speak up for yourself. If you feel you are not getting the opportunities to which you are entitled, you have two options: (i) you can sulk, blame the firm, complain incessantly over snacks in the associate lounge, anonymously post on ATL and/or quit the firm; or (ii) you can speak up about it. I compared this to the advice that I gave in this article for Huffington Post a number of years ago. 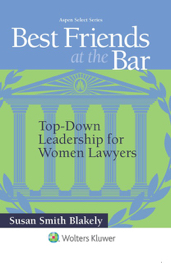 A fundamental difference between the two articles is that I write for all young women lawyers — not just those in Big Law — so my advice is more about career planning and execution that is common to the experience of most women lawyers. Craft your own definition of success in the law. 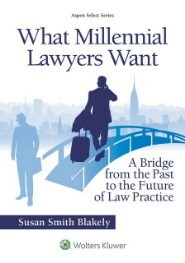 Here also is an interview that I gave to The Muse years ago about why women leave the law. That is looking backwards to see where it all went wrong — something that is helpful to know as well. 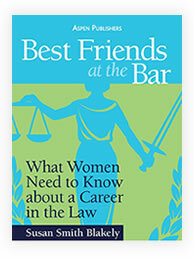 And for those of you thinking about a career in the law, here is another advice piece that I did for Girl’s Guide to Law School. I believe that there is a lot of room for advice from seasoned veterans of the profession, and I also believe that you need all the good advice you can get. So, go ahead and help yourself!